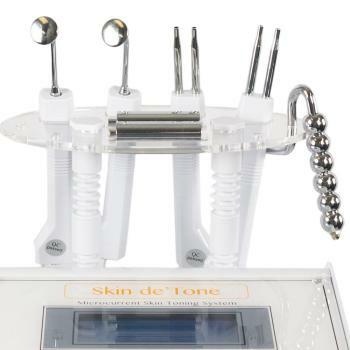 Revolutionary system that delivers effective microcurrents to achieve amazing results on any kind of skin. 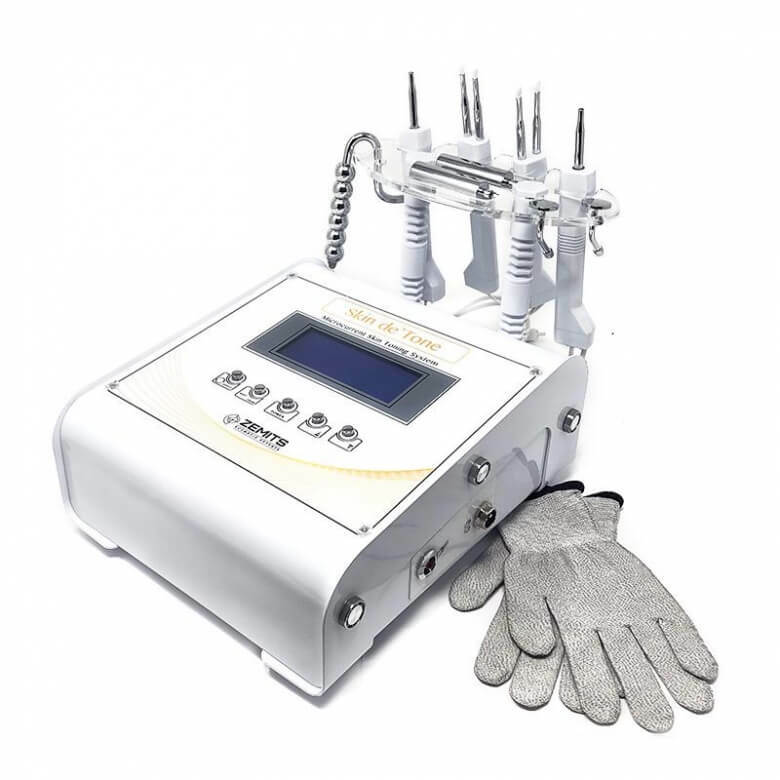 The Zemits Skin de'Tone Microcurrent System is a revolutionary system that delivers effective microcurrents to achieve amazing results on any kind of skin. Zemits Skin de'Tone Microcurrent System includes a pair of Microcurrent gloves for lymphatic massage. Microcurrent is a low-level current that acts like the currents naturally present in the body. This therapy is a clinically tested anti-aging treatment used for facial contouring, toning, and firming of aging skin. It may also stimulate the lymphatic system, causing a decrease in puffiness and eye bags, and a positive increase in complexion and collagen. Results can be so dramatic that microcurrent is often referred to as the 5-minute face lift. It is often used on patients who would like to tighten or loosen certain regions with muscles and provide anti-aging effects. Microcurrent works by sending tiny electrical impulses through the muscles. These impulses mimic the natural electricity in your body and cause no harm. 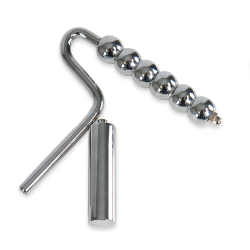 It can be used in one of two ways: to relax muscles or to tighten muscles. 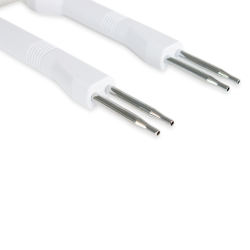 Microcurrent always uses a pair of electrodes (one negative and one positive) to keep currents localized and circuits closed for optimal results. As the muscles are "worked out", protein and ATP production increases, which energizes muscles and creates a more lifted, toned look as a result. This increase in ATP also triggers the production of elastin and collagen which assists in skin repair as well. 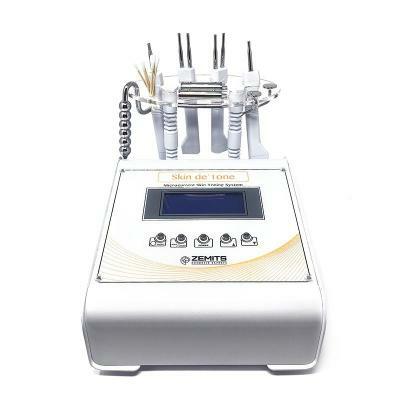 Can be combined with other treatment methods like hydrodermabrasion or microdermabrasion for enhanced results. Due to the minimum cost of treatment ($100) and minimum amount of sessions (4 times per client), only 5 clients are needed to provide you a return on your investment! In addition to basic user manuals, we will send you treatment protocols and recommendations to enhance your experience with our equipment because we are committing to helping you succeed! We also have licensed aestheticians on site for one-on-one training both in-person and over video chat. There is no hassle with getting comfortable with your equipment and learning how to maximize your profits! We offer two kinds of financing: one through Advance Esthetic and one through Quickspark. Advance Esthetic's financing has NO interest and NO need to fill out an application to check your credit. 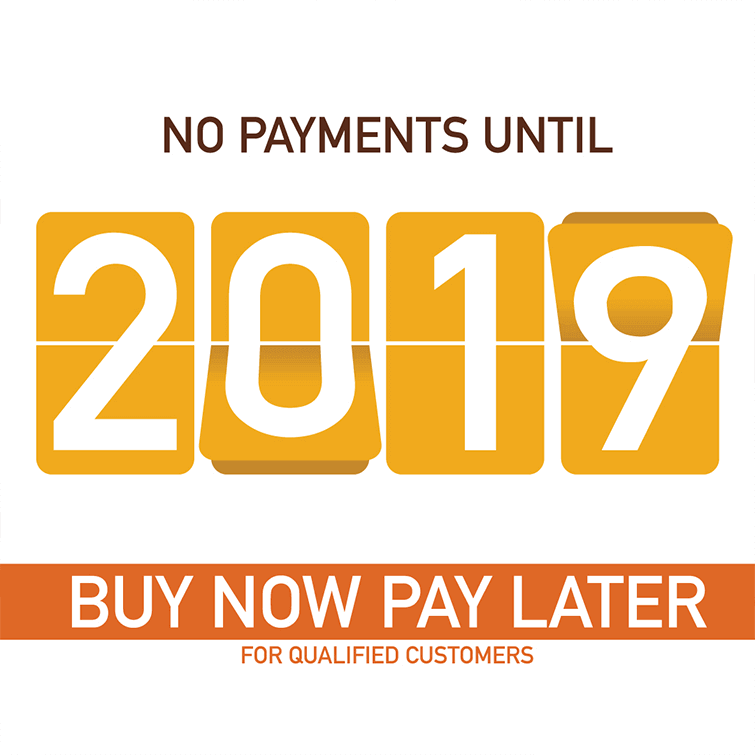 Quickspark's financing offers a low interest plan with a very easy online application. 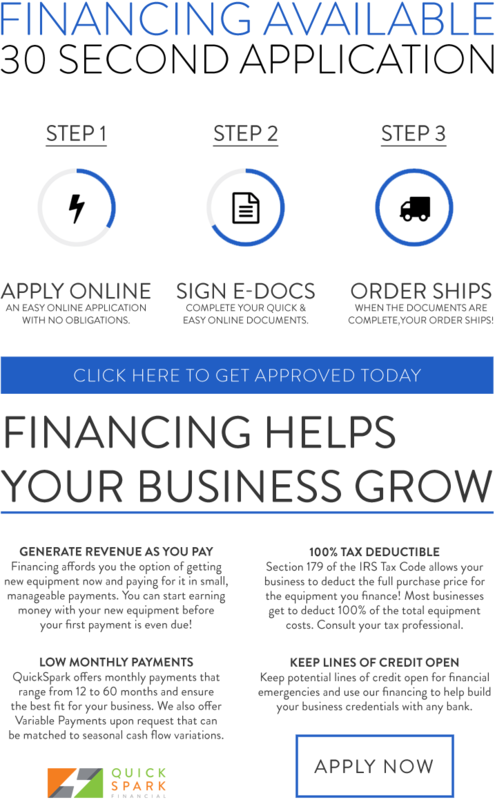 For more information, check out our "financing" tab or call us today. Microcurrent is a low-level current that acts like the currents naturally present in the body. It is often used on patients who would like to tighten or loosen certain regions with muscles and provide anti-aging effects. Microcurrent therapy is a clinically tested anti-aging treatment used for facial contouring, toning, and firming of aging skin. 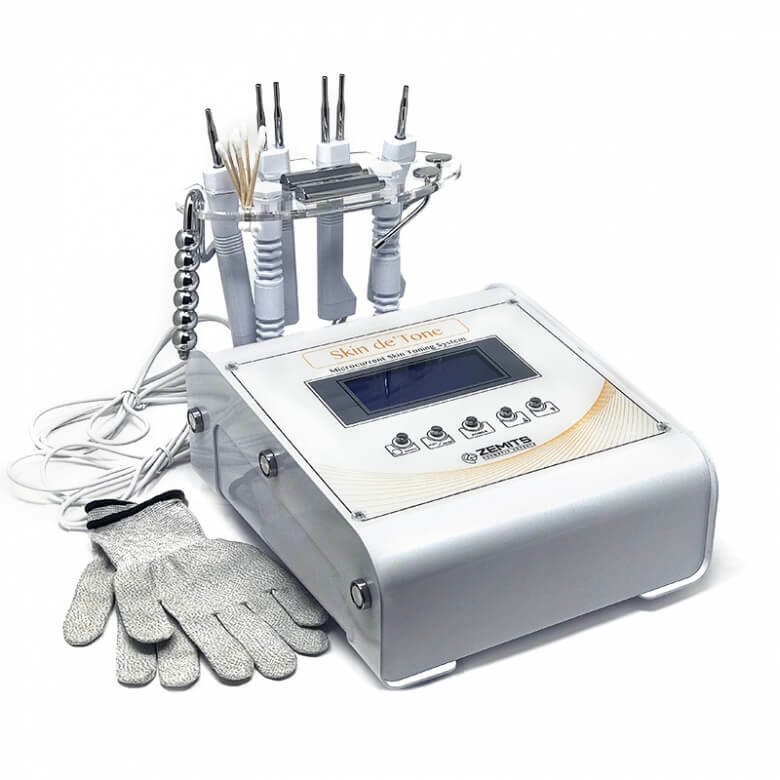 It is sub-sensory and very soothing for patients in addition to being a safe and effective technology for clients who wish to attain and maintain a healthier, younger looking appearance comfortably. 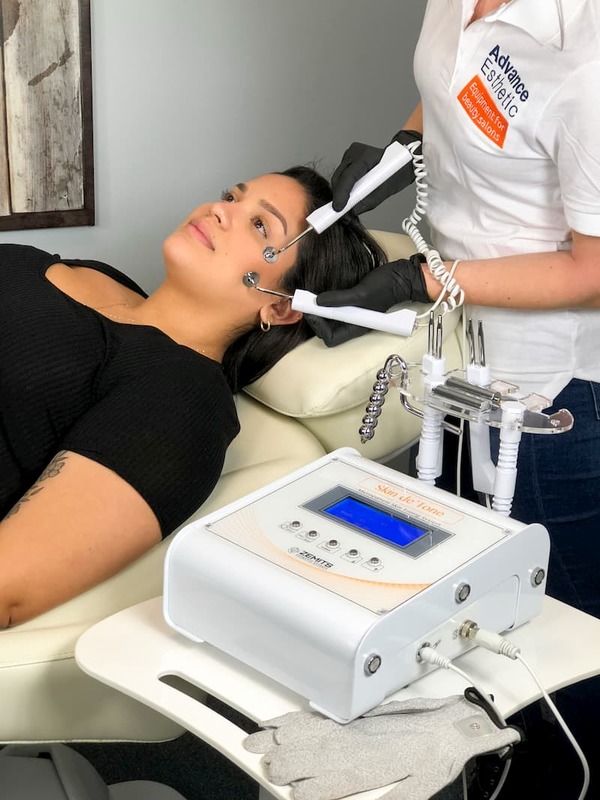 Microcurrent therapy may also stimulate the lymphatic system, causing a decrease in puffiness and eye bags, and a positive increase in complexion and collagen. 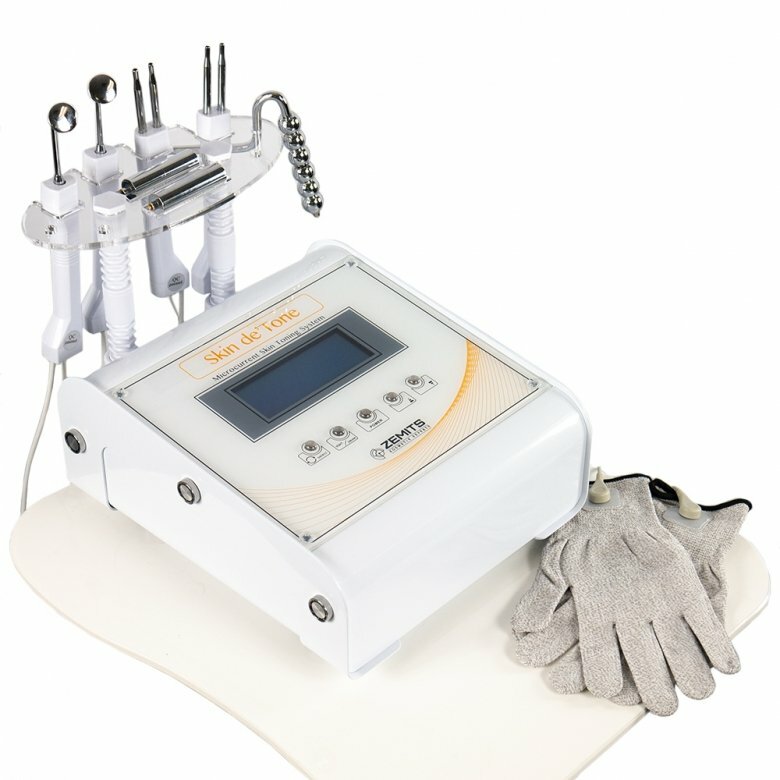 Results can be so dramatic that microcurrent is often referred to as the 5-minute face lift. Microcurrent, however, is not a permanent solution- patients must follow up with treatments on an appropriate basis as listed under "Treatment Method". Microcurrent works by sending tiny electrical impulses through the muscles. These impulses mimic the natural electricity in your body and cause no harm. This sub-sensory stimulation makes patients feel very little changes during treatment and does not cause any visible muscle contractions. It can be used in one of two ways: to relax muscles (such as with wrinkles) or to tighten muscles (in case of sagging). As the muscles are "worked out", protein and ATP production increases, which energizes muscles and creates a more lifted, toned look as a result. This increase in ATP also triggers the production of elastin and collagen which assists in skin repair as well. Microcurrent always uses a pair of electrodes (one negative and one positive) to keep currents localized and circuits closed for optimal results. What Products are Needed for Microcurrent? How Long is Recovery After a Microcurrent Treatment? There is virtually no recovery period following microcurrent. Patients can resume work or normal activities immediately after treatment. 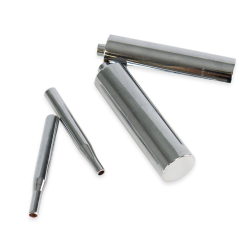 What Possible Side Effects or Complications may arise from Microcurrent? There are generally no harmful or uncomfortable effects associated with this treatment. Many patients describe a microcurrent treatment as relaxing and energizing, and do not report any level of pain. No known side-effects or complications exist with microcurrent. Contraindications: Who Shouldn't undergo a Microcurrent Treatment? Pregnant women or patients with skin infections/diseases, heart problems, pacemakers, epilepsy, or thrombosis should not receive this treatment. 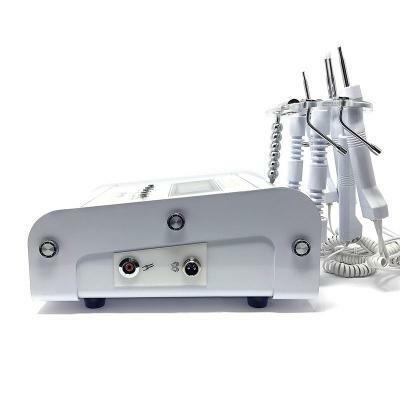 Patients are recommended to receive 2-3 microcurrent treatments per week, decreasing to 1 a week after results become more visible and prominent. Initial results are evident after about 4-5 treatments, but 10-15 are recommended for long-term changes. After 10-15 sessions, which is the average amount to see maintained results, patients should continue to get treated 1 time per month to keep results in the long-run. Inform patients to drink 2 liters of water per day to assist their body in expelling toxins and other by-products associated with lymphatic stimulation from this treatment. What Procedures can be Provided? What Areas can be Treated by this Machine? Who can offer this treatment? Only licensed professionals, massage therapists, and estheticians may perform this treatment. Please check your state laws as this may vary by region. The price of radiofrequency falls around $100. We offer two kinds of financing: one through Advance Esthetic and one through Quickspark. Advance Esthetic's financing has NO interest and NO need to fill out an application to check your credit. Quickspark's financing offers a low-interest plan with a very easy online application. For more information, check out our "financing" tab or call us today. Call us now and don’t lose your chance to get this incredible equipment at our amazing prices! Take advantage of our discounts while they're here because you won't find them anywhere else! *Please note, equipment doesn't include the stand. Any kind of stand can be purchased separately. 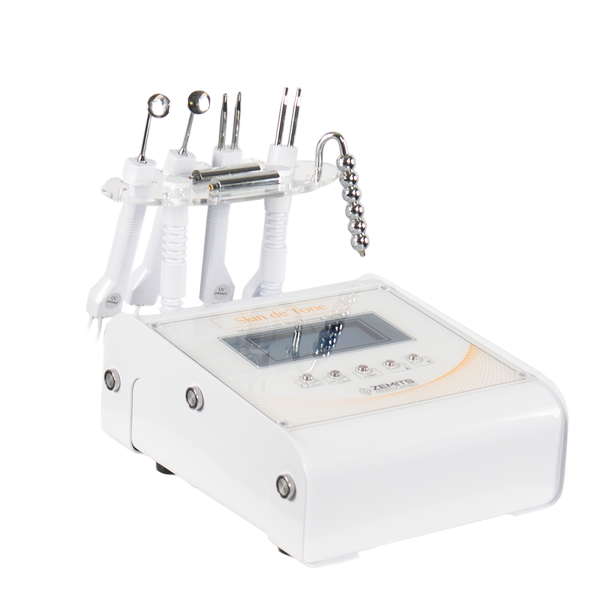 Advance-esthetic pleases with a large selection of devices. I did not think that I would find such a good equipment for microcurrent therapy. 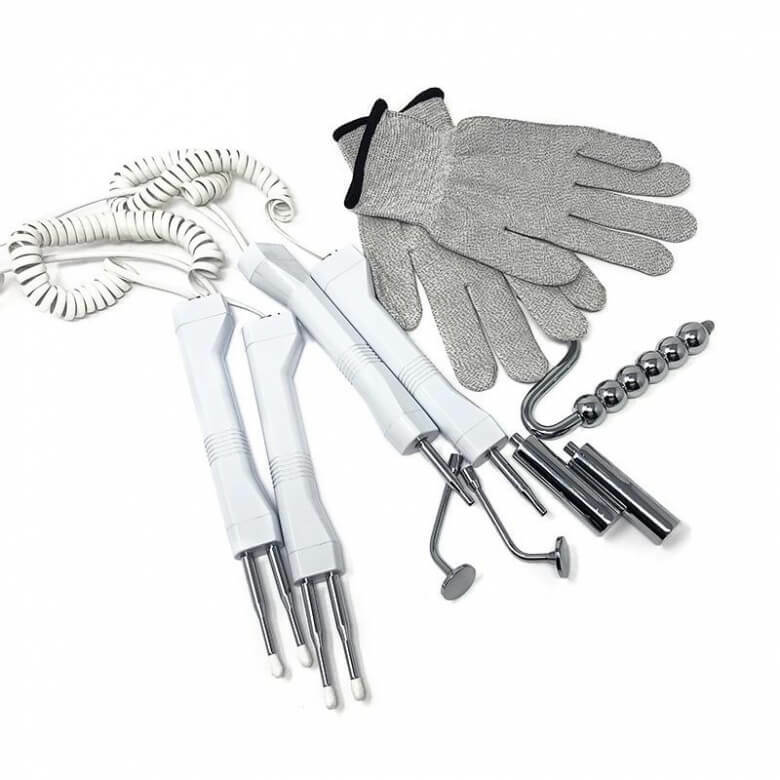 This device has everything needed and especially microcurrent gloves. In general, everything you need for professional procedures. I'm very pleased. It's my favorite machine now. I have used my previous microcurrent for 9 years, beautiful results, but it was too old, so I decided to purchase a new model. I found this company in Facebook and in 2 weeks came to their facility for training. I fall in love with machine and staff! Nice machine and great professional team! I recommend this company to all my colleagues. Just received it! It's amazing! Very nice looking! Much better than at photo! 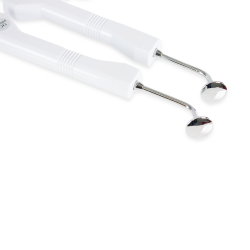 Very powerful and comfortable sensations while using! Great machine! Thank you, Asya! I'm excited about this purchase. Zemits Skin deTone is amazing! Thank you! I love this machine. Very powerful equipment and proper technical specs!